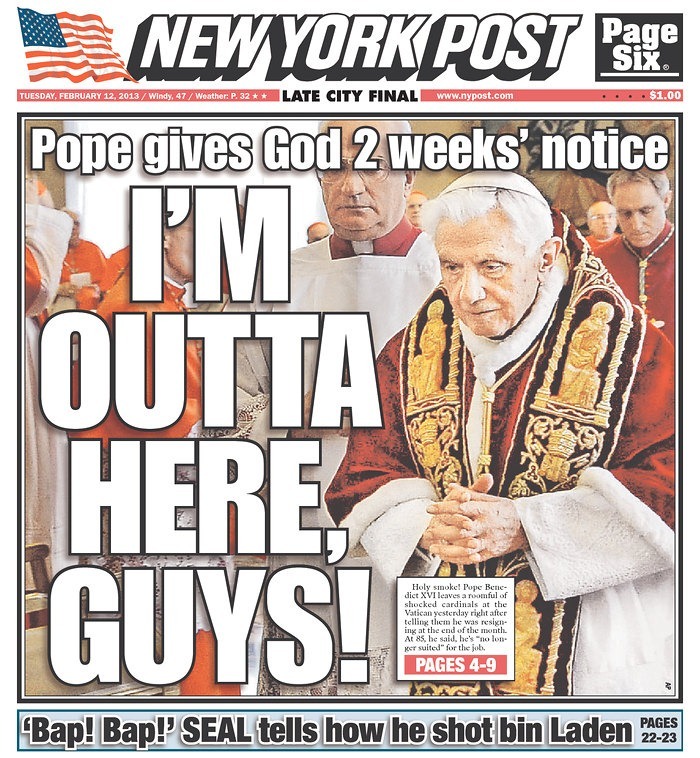 Here is how the New York Post covered Benedict’s announcement. Living just north of NYC and seeing these types of headlines all the time, all I can say is…LOL!! What a cover.